Each year the Parent Association solicits nominations from students, families, alumni, and faculty for an award to acknowledge the unique qualities of an individual teacher that inspire students to learn, families to cherish their child’s experience, alumni to reflect on their CWA days, and faculty to continue to strive to maintain their high standards both in and out of the classroom. 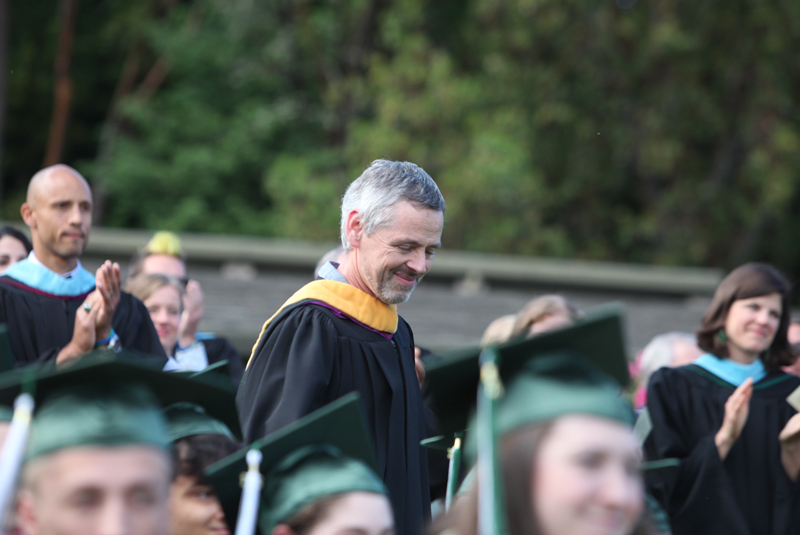 This faculty member is beloved and respected by his students, his colleagues, and the Charles Wright community as a whole. Often described as having a “quiet wisdom” and being “kid friendly,” he brings an extraordinary teaching experience to his students, who benefit greatly from working with him and from his expertise in his field. He has been a department chair for 21 years. Over the last decade, almost all of his students (20 of 22, or 91 percent), have scored the highest possible score (5) on the AP exams, and his classes have the highest AP average during that time period compared with other CWA AP classes. Outside of the classroom, this individual is no less impressive, serving as a superb Outdoor Ed leader. Bringing his own talents and successes in athletics and passion for the environment, he challenges and inspires his students to grow through sports as well as wilderness and outdoor experiences. In addition to teaching, he has coached soccer for 20 years, coached track and chess teams, advised the juggling club, and led Winterim groups. His own adventures include volunteering for Coast Savers, cleaning up coastline beaches, and hiking the Pacific Crest Trail with his brother. He also enjoys long-distance hiking, juggling, chess, the game of go, reading, and astronomy. This faculty member joined Charles Wright Academy in 1983. It is with honor that the CWA Parent Association awards the 2017 Inspirational Faculty Award to Gil LeFrancois. Recent Inspirational Faculty Award winners include Creighton King (2016), Nick Zosel-Johnson (2015), Catherine Grider (2014), Susan Sparrow (2013), Neil Biermann (2012), and Nick Coddington (2011).